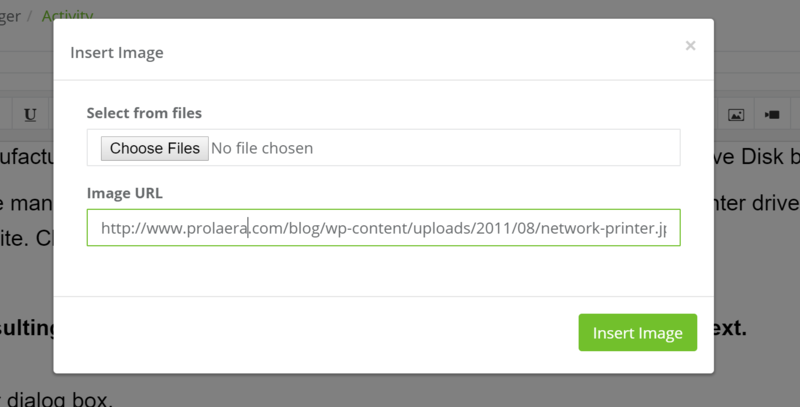 Today, we’re excited to release our new Activities feature which will be available the next time you login to Prolaera. We’ll dive into more detail in the following post about the different things you can do with Activities and how they can help enhance professional learning. We built Activities because we all know there’s that “one person” for any situation at work. Whether it’s your go-to person on how to install the printer to solving a specific client issue, there’s a lot of energy spent giving the same advice over, and over, and over. Well, what if it were really easy to create a how-to tutorial or a crash course that everyone can access anytime – and you could add quizzes and track completion to see how effective it is? From spooling up your new hires in record time to helping your experienced teammates master a new skill, we’re excited to see how you’ll use Activities to unlock the collective knowledge of your firm. Activities are flexible types of learning content that extend beyond your typical “CPE course.” And, importantly, Activities are designed to be extremely simple to create but almost infinitely flexible. Activities can range from blog post style formats (like this post you’re reading) to a quick copy-paste of an insightful whitepaper to embedded videos from your favorite sources (like Youtube) — and anywhere in-between. We’ll demonstrate some more examples below. Then, you can choose a completion type for the activity, such as a quiz or a simple self-complete button. This allows you to keep track of which activities have been completed and helps training organizations build comprehensive learning tracks with a variety of content. How do you create Activities? Creating a new Activity really is as simple as 1-2-3. We’ll walk through those quick steps below. The first step is pretty self-explanatory. Let’s give our new Activity a name and a description. 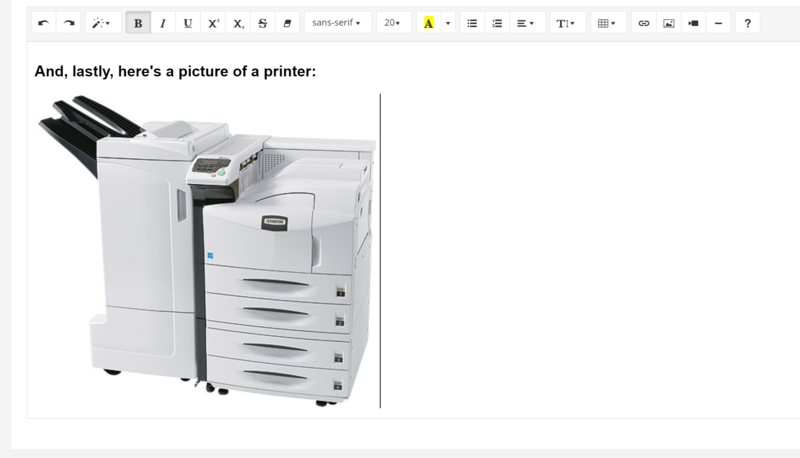 In this example, we’ll create a tutorial on installing a printer (a trending topic in any workplace). Authoring an Activity is just like creating a document in Word, Google Docs, or any other Word processor. Your formatting in the editor will show up the same to an end user, so it’s easy to create content with many different types of content. You’re able to copy and paste from documents or web pages, author your own content from scratch, embed videos from Youtube, add links, insert pictures, and more. We’ll cover some of the content options in more detail later in the post. 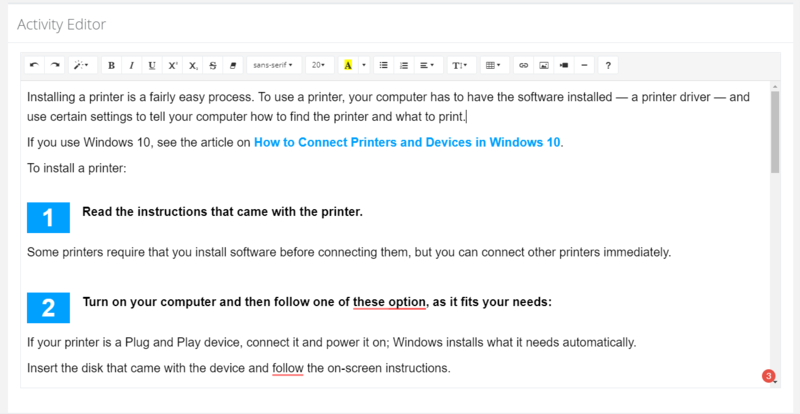 In the example shown below, we’ve copy-pasted an article on adding a printer to Windows 10, and you’ll notice it maintained it’s original formatting, including links and images. This can be really handy when sharing useful content from a variety of sources. We’ll cover the completion types in more detail later in the post. The last step to create your new Activity is to select your completion type and create your quiz questions (if you’ve selected that option). Your Activity is now ready to be published and can be accessed anytime, anywhere, and on any device when and where it might be needed! It will look just like it did in your authoring window – what you see is what you get. Our live post from the example is shown below. What types of content do Activities support? Just like in Word, you can create varieties of rich text and you’re also able to copy and paste from documents, PDF files, and web content directly into the editor. You may also add hyperlinks to other types of content you want to reference. You’re also able to upload images to your activities by selecting an image file on your computer or you can link directly to another image on the internet. The image will then show in the editor and you’ll be able to align its placement and resize to fit how you’d like it to be shown. The Activities editor also allows you to embed a video from your favorite video hosting platform(s) by simply pasting a link to the video. The video will then show up in the editor window and can be aligned with the rest of your content. That’s it! What are the quizzing capabilities? In the first version of Activities, there are two completion types available. The first (and simplest) is the “Self-Complete” option which gives the learner the ability to, well, mark themselves complete once they’re done. The second option is to build a quiz. Quizzes in features have a couple options available and can be quickly built to your needs. The completion percentage allows you to set the percentage of the learner’s answers must be correct to be considered a passing grade. The question bank feature gives you the ability to create a pool of questions which will be randomly chosen each time the quiz is loaded. This means each quiz will be unique and will cycle between the questions you’ve created. Your question bank may include as many questions as you’d like and you can select how many will be displayed at one time. You can also select “No” to display the same questions each time and it will include all of the questions you create. You may then add as many questions as you’d like. You can add more options to each question or delete them down to two (great for True/False questions). Once all of your questions are all created, you’re all set! We’re very excited to see all the different ways Activities get used to help unlock your firm’s collective knowledge. Help get new hires spooled up faster than ever and cut down on having to spend time answering your common “FAQs” dozens (or hundreds) of times. Ultimately, we’re excited to see how activities help fill in the key gaps in your learning tracks and your professional development plans. In a future post, we’ll go through other example uses of Activities. In the meantime, let us know how you plan to use them and we’re happy to offer any advice on making the most out of our latest features.